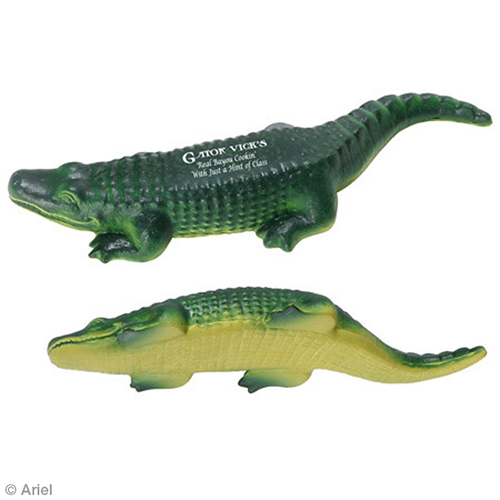 Ideal for theme parks, nature preserves, universities, sports teams or just expanding your potential market base, these American Alligator Stress Balls will help you to roll out your logo. Send the message to your competition with these custom stress balls that it's time to get out of the water. Item Size : 6-1/4" x 2-1/8" x 7/8"